Ich fand es auch stark, doch im nachhinein ist es einfach ein ganz normales Pop-Album.<br><br>Hoppla, dem habe ich ja unbewusst mein 3000. Review gewidmet... naja, auch egal. Buen álbum pop<br>Mis canciones favoritas:<br>1. Shape Of My Heart<br>2. The Call<br>3. More Than That. mein persönlicher D/S = 2.3<br>also tiefschwarz..
Ok but The Call and Shape of my Heart are clear standouts. 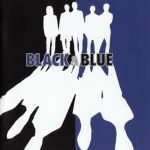 <br><br>15 weeks in the UK top 100. <br><br>UK#13.<br>5 weeks German top 10. Germany#1 (1 week).<br>Spain#1 (1 week). <br>Denmark#2.<br>Greece#2.<br>Portugal#3.<br>Iceland#7.<br>Hungary#11.<br>Ireland#11.<br>Scotland#12.<br><br>5 weeks Euro top 10. European Hot 100#2. <br><br>2 weeks Japanese top 10. 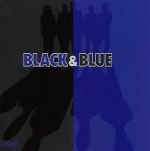 Japan#3.<br><br>World Chart Year End (2000): #8.<br>World Chart Year End (2001): #60.<br><br>210,000 copies sold in the UK.<br>6.9 million copies sold in the US.<br><br>The seventh biggest selling boyband album of all time in the US.<br><br>The biggest selling global boyband album of 2000.